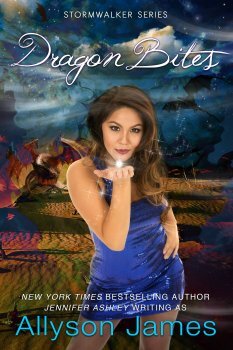 Dragon Bites (Stormwalker Book 6) is Out! So excited to announce Dragon Bites (Book 6 in the Stormwalker series) is finally out!! E-book and print! Audio is on its way!! This is a series I struggle to find the time to write (contracts and deadlines wreak havoc with my life), so I’m thrilled I’ve at last done six books! Woot! I hope you enjoy Dragon Bites. I went into other characters’ points-of-view for this one, trying something new. You’ll hear from Mick, Colby, and Gabriella. I had a lot of fun!